October is Breast Cancer Awareness Month. Are You at Risk? 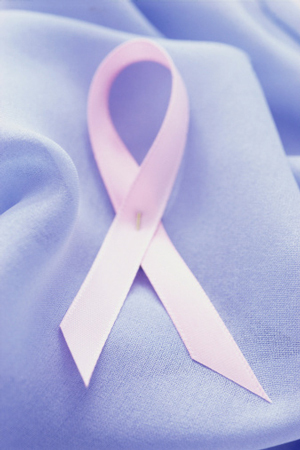 Breast Cancer awareness campaigns have empowered women to take a pro-active approach to early detection of the disease. While regular check ups greatly help in prevention for any illness, individuals with specific risk factors should pay extra close attention. • Gender: Just by being a woman you are placed at risk. Male breast cancer is not common but it isn’t unheard of. Men are less likely to be affected by breast cancer because they have less of the female hormones, estrogen and progesterone, which can promote breast cancer cell growth. Age: A woman’s chances of developing cancer increase as she gets older. Statistics reflect a woman’s median age of breast cancer diagnosis to be 61. This means that half of women who develop breast cancer are 61 or younger at the time of their diagnoses. Family History: Women who have had a ‘close blood’ relative diagnosed with breast cancer are at higher risk of developing breast cancer. ‘Close blood’ relative is defined as a first degree relative such as mother, sister, and/or daughter. Race and Ethnicity: Caucasian women are slightly more likely to develop breast cancer than African-American women. However, African-American women under the age of 45 are more commonly diagnosed with breast cancer. The American Cancer Society has statistically noted Asian, Hispanic and Native American women are at less risk from developing breast cancer. Having Children/ Breastfeeding: Having several pregnancies and becoming pregnant at a young age reduces the risk of breast cancer. Studies have shown that women who have no children or had their first child after age 30 have a slightly higher risk of developing breast cancer. Some studies have suggested that breastfeeding may slightly lower breast cancer risk, especially if it is continued for 1 ½ to 2 years of age. Hormone Therapy after Menopause: Women who receive Hormone Therapy (HT) to relieve the symptoms of menopause can possibly be at an increased risk of breast cancer if used for a prolonged amount of time. This can be due to the dual dosing of progesterone and estrogen administered. However, a woman’s risk of breast cancer seems to return to normal within five years of stopping the combined treatment. Drinking Alcohol/ Smoking: Women who consumed more than 2 to 5 drinks daily increase their risk of breast cancer as opposed to non-drinkers. Although there have been limited studies, smoking has been linked to increasing a woman’s chances of developing with breast cancer. Being Overweight or Obese: women who are overweight tend to have higher insulin levels, which has been linked to some cancers, including breast cancer. Flushing Hospital’s Ambulatory Care Center has a variety of services including a dedicated breast clinic. Our clinic can help you take your first steps to prevention and provide peace of mind. For more information or to schedule and appointment, please call 718-670-5487.